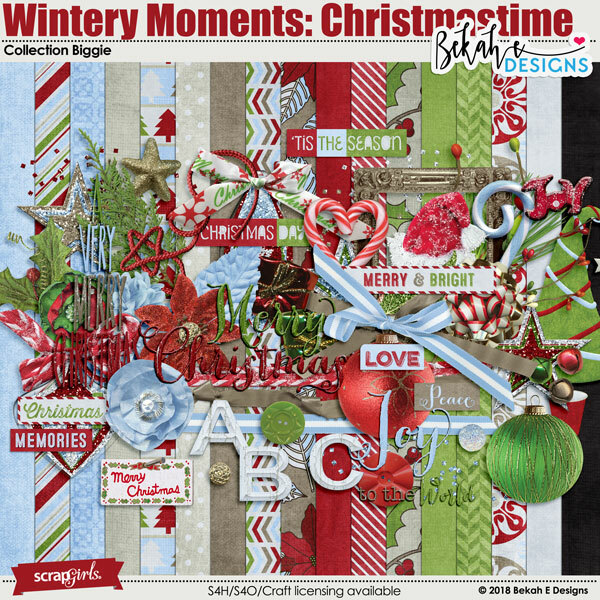 The Wintery Moments collection is a beautiful collection perfect for scrapping all those photos of your favorite wintertime events. 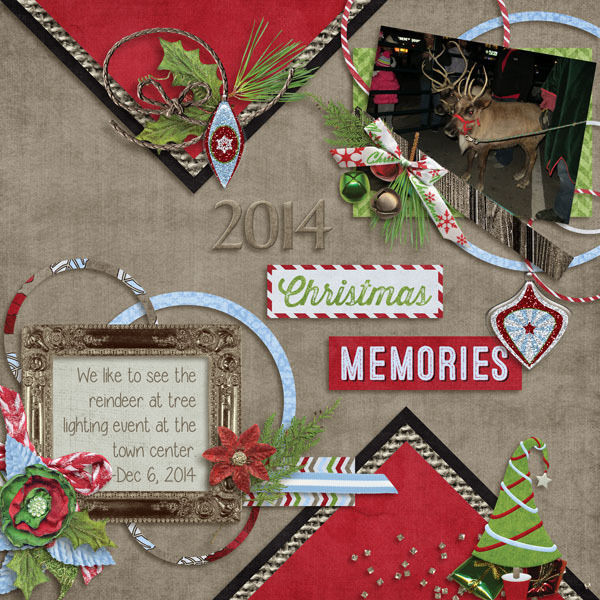 Wintery Moments - Christmastime: Collection Biggie includes 17 papers (10 patterned and 7 solids), 50 embellishments and 1 alpha (uppercase, numbers and common punctuation included). Okay, Let me say this I am in love with product. 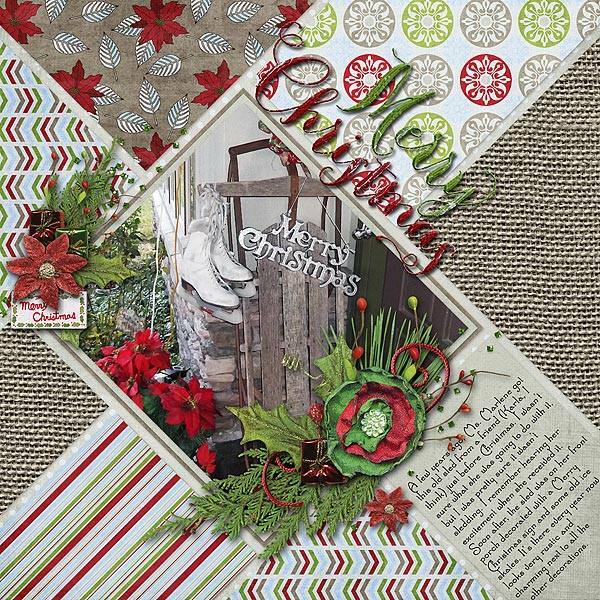 So far I have tested it out on a Layout right now in progress and this is fantastic. Awesome!!! I can not stress enough on how Awesome it is. I struggle wit Shadows so this is a huge major plus for me so glad I bought this one.